If you’re scheduled to take a road test, chances are you’ve heard some few strange tales from those who already crossed that bridge. Like most unverified tales, there are usually some truth and false statements. The obvious outcome is a perception of road test myths that are passed down to beginner drivers. Unknown to most learners, there are few unlucky ones who fail the road test due to strongly believing in such myths. 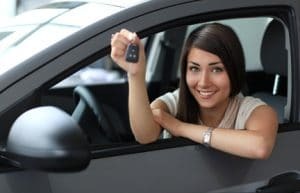 For those who are planning to take the road test, it is crucial to know distinguish the facts and myths to avoid falling into the ‘not so lucky’ pool. You don’t want to become a statistic, do you? You’ve probably heard the whispers so many times. The rumor goes that there has to be a weekly quota of candidates who fail their test. Apparently, there are more failures on Friday since the examiners realize they need more people to fail to meet the minimum quota before the weekends. Well, here is the news- the system is not rigged and that is just a myth. If you look closely, the people who say that is fixed are annoyed that they failed the test but can’t admit that they made a mistake. Sure enough, Ontario has one of the lowest driving school pass rates in the world but it is just a matter of standards. The people saying the government makes more money if they make you fail a test are inaccurate. A new test will cost you at least $52 but if you pass, you will spend more than $100 on insurance tax accounted to your first vehicle. Of course, there are other costs like road tax, fuel, and parking fees. There is always someone somewhere who is convinced he/she failed the road test due to another driver’s mistake. For instance, failing a road test after another driver pulls out of nowhere who’s clearly disregarding the traffic rules. Yes, the other driver did act stupid but the examiner will fault you for not taking the necessary precaution. In other words, it is your mistake if you do not predict/react to the other driver’s mistake. Unless you’re in the Harry Potter world, a car cannot magically out of nowhere. 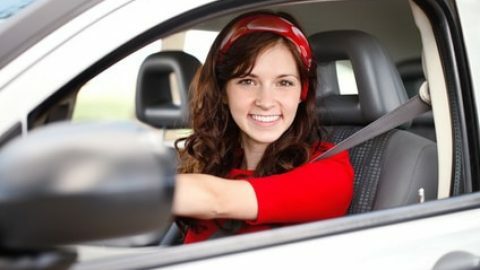 Although the pull-push steering method is usually recommended by driving instructors; the examiners pay closer attention to the end result rather than the steering method. As long as the driver is steering the wheel accurately and precisely, does it really matter if the arms are crossed? For that reason, crossing your hands when steering is not marked on a road test. In fact, it has not been considered as a failing factor for decades like most people are misled to believe. On the other hand, stalling briefly during a road test will not cause you to fail. However, if you stall too much or when moving out onto to a major junction, it could be a problem. There is a misconception that you have to drive very slowly for the road test and after you pass, you’re free to go faster. To the contrary, driving too slowly will not impress the examiner and will likely result in a fail. Reason? The examiner will think that you’re not ready for the real world out there where in some instance driving too slowly could be risky. Now that does not mean that you over speed but rather drive at the appropriate speed required for the road you’re on. However, only stick to the speed limit instead of trying to match up the speed of other drivers on the road. The problem with trying to catch up with the speed of other vehicles on the road is that most drivers go too fast completely disregarding the speed limit. This is perhaps the oldest myth in the book. Your father or uncle doesn’t help the situation neither by telling you in their days it only took 8 hours of driving lessons to pass. Gone are the years when candidates would only be asked a few questions from the driver's manual before proceeding to the next stage. Things changed and became more complicated. There is a reason The Driving Standards Agency (U.K) recommends 45 hours of professional training and 22 hours of private practice lessons for beginner drivers. Road accidents do happen quite often and a lot of lives are lost. Keep in mind that 90 percent of road accidents are caused by human error. 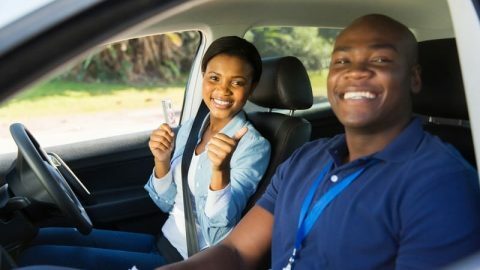 Hence, the purpose of an intense learning process and a thorough road test evaluation is to reduce road accidents by only allowing competent drivers to get a license. You can practice G1 test online before you take your knowledge test at a DriveTest Centre. Visit here for road test booking. Best and worst place to take your road test in Ontario.